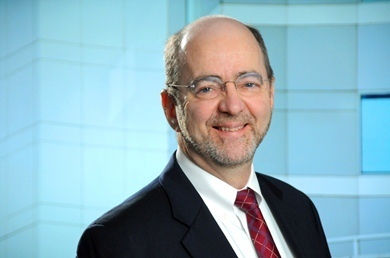 Jonathan B. Orleans, chair of the Labor & Employment Law practice, has over 30 years of experience as a litigator and counselor in a broad range of matters, particularly relating to the employer-employee relationship. He represents businesses, nonprofit organizations, and individuals in disputes arising out of employment contracts, restrictive covenants, and other agreements, and litigates cases arising under federal and state statutes governing employment. Jon advises clients on compliance with laws and regulations, and represents employers and senior executives in the negotiation of employment contracts and separation agreements. He frequently assists employers with the development and application of personnel policies, and offers anti-harassment and other training programs to clients of the firm. Jon’s service to the bar and the community currently includes chairing the Local Civil Rules Advisory Committee of the U.S. District Court for the District of Connecticut, serving as vice-chair of the Board of Directors of the Bridgeport Public Education Fund, and serving as Legal Advisor to the American Civil Liberties Union of Connecticut. He is also co-chair of the Connecticut Bar Association Federal Practice Section. Previously, Jon has been a member of the Connecticut Judicial Department Civil Commission, the Federal Grievance Committee of the U.S. District Court, and the Board of Directors of the Connecticut Fair Housing Center. In 2011-12, Jon taught Civil Procedure as an adjunct professor at the University of Connecticut School of Law. Recipient of the Connecticut Law Tribune's Professional Excellence Award, for his outstanding service to the legal profession during his career.